Talking to someone about rightsizing can be difficult; for a parent who has lived in their home for decades, it can be a daunting task. Moves for Seniors wants to help you, help your parents right size with compassion and empathy. Below are excellent ideas on how to talk to your parents about rightsizing. The first step is to explain the reasons they need to leave their home. Help your mom and dad understand why they are not able to live in their home anymore. There are many reasons that it may be time for your parents to leave their home as listed below. Remember to be honest and gentle to help them understand. Empathize with them. As you can imagine, moving out of a home where they spent many years creating memories is emotionally taxing, and an extremely difficult process to come to terms with. Show your parents their feelings matter and that you are going to continue to support them to make it as easy and as painless as possible. Tip – Keep in mind your parents are getting older and going through a series of loss – loss of employment, mobility, health, energy and now their home. Follow your parents’ lead. Let mom and dad lead you through the process. Be assertive but not bossy. Help them organize and accept the move; but do it on their time line at a pace that works for them. Rushing your parents will only make the process more difficult for them. Show your parents that rightsizing is a great way to socialize. Socializing not only helps people cope emotionally with change but it helps them physically and mentally as well. Living in a large, two story home worked for your parents in their prime. They had neighbors, school parents, and friends to interact with, but as they are most likely not socializing as much as they should. Rightsizing to a neighborhood or assisted living facility with a population of individuals in your parents’ age range a great way to keep your parents active during the next stage of their life. Create a memory book. Creating a memory book is an excellent way keep all of your parents’ valued items in a convenient place, allowing them to look through the items anytime they would like. They may not be able to keep their collectible plates or their guitar, but taking a photos of these items and placing them in a memory book will help preserve the memories your parents created with those items. You may also cut a piece of their favorite sweatshirt that no longer fits and put a piece of it in the memory book and do the same with the fabric from their favorite chair that won’t fit in their new home. 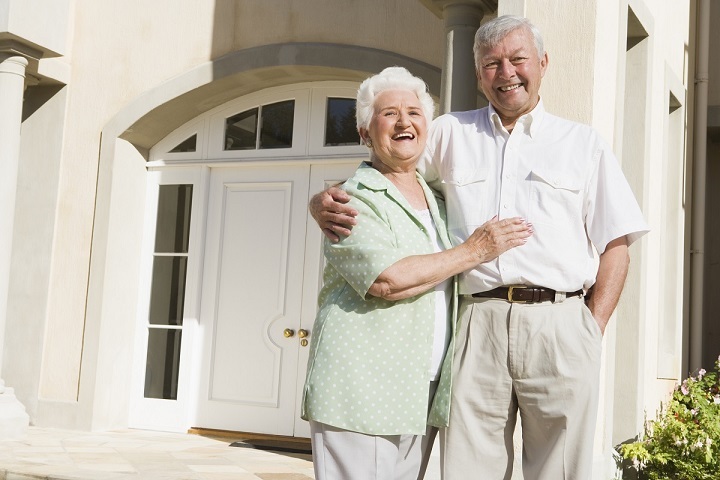 Once your parents can emotionally and mentally accept that they are moving, give Moves for Seniors a call now at (800) 227-0515 so that we can help you with every aspect of your senior move.